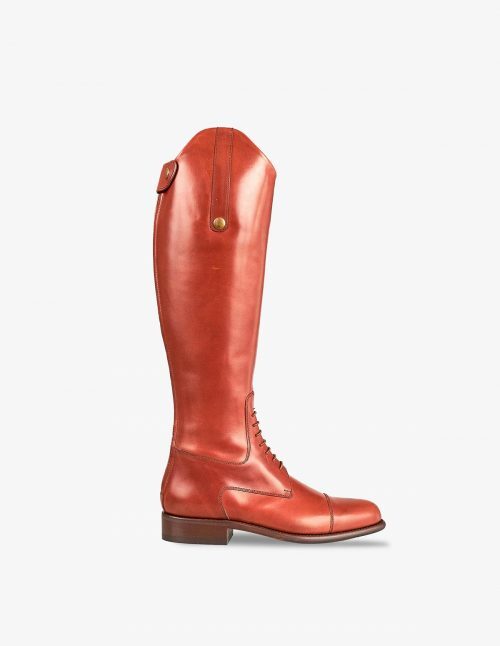 Horse-riding boot adapted to urban lifestyle. Made of vegetable tanned bovine leather in natural bronze colour, and soft deer leather lining. The design presents a zip in the back part, with a small flap on top and elastic laces. The perfect shoe for show jumping and Polo. Made of vegetable tanned bovine leather in a natural bronze colour. 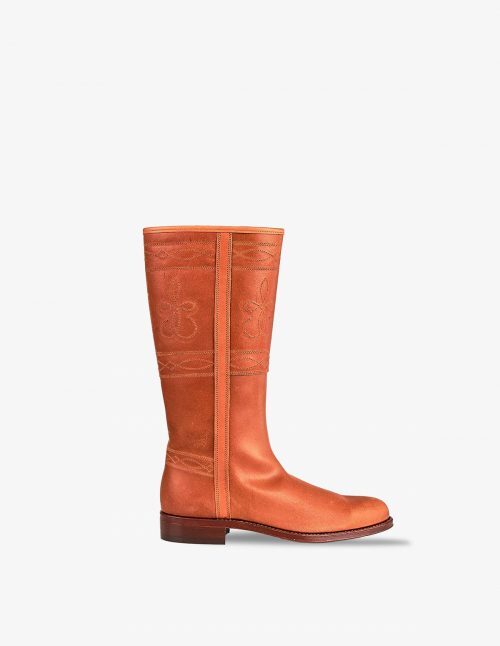 Lined with soft orange deer leather. The zip is in the front part, and it features a decorative detail to reinforce the closure. 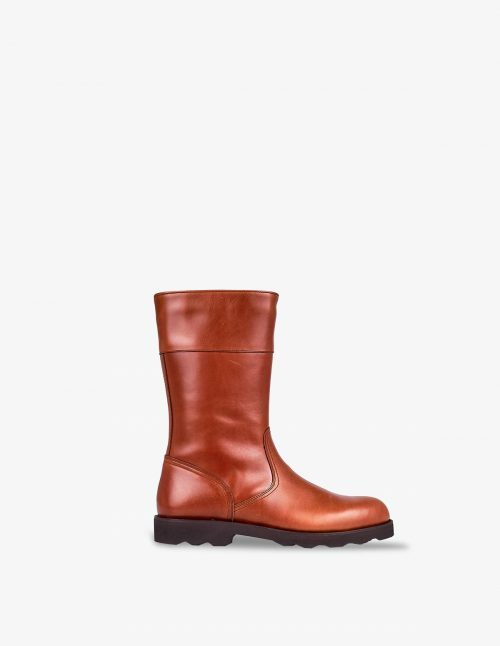 Made of vegetable tanned bronze bovine leather, with soft deer leather lining. The zip is in the front part, and it has protection on the inside to provide comfort to those wearing it. The perfect shoe for show-jumping and Polo. 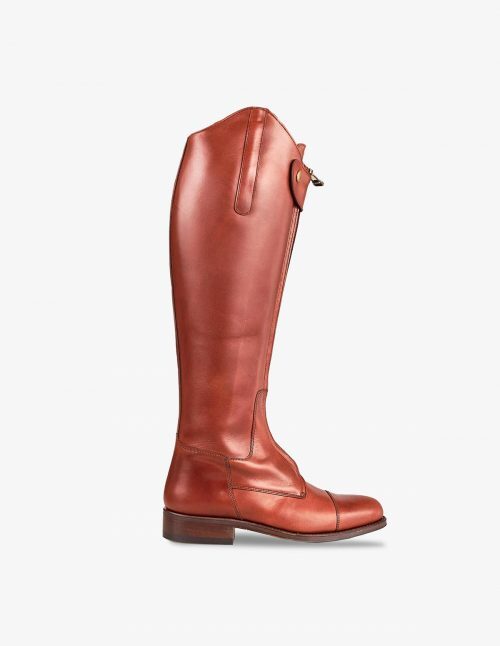 Horse-riding boot made of top-quality greased bovine leather and deer leather lining. It features a lateral zip, protected by a flap with decorative details and closed with buttons. There is also a buckle fastener on the top part with decorative tassels. Finished with a rubber sole that provides robustness and durability. It is the perfect shoe for daily activities in urban winters. 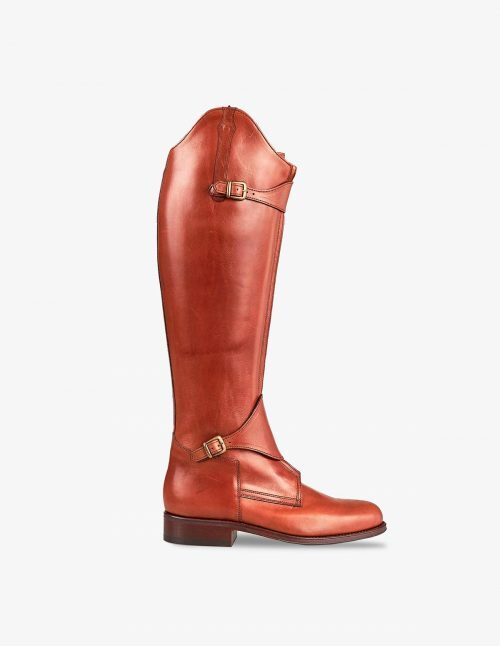 Horse-riding boot made of top-quality greased bovine leather and orange deer leather lining. It has a lateral zip and buckle fastener on top, finished with tassels and Carthusian details. 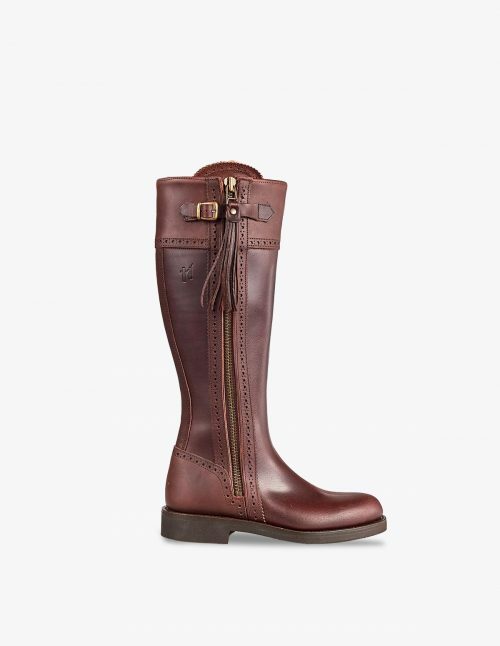 The perfect boot for both horse-riding and everyday use in urban winters. Full-leg boot with original embroidery on the top part, and a double inner flap to make it easier to put on. Made with top-quality, dark, greased bovine leather. Lined with soft deer leather, and finished with a leather and rubber sole that provides durability and comfort. Full-leg boot with original embroidery and inner double strip, which makes it easier to put them on. Finished with top-quality greased bovine leather. Lined with soft deer leather and finished with a leather and rubber sole that provides durability and comfort. 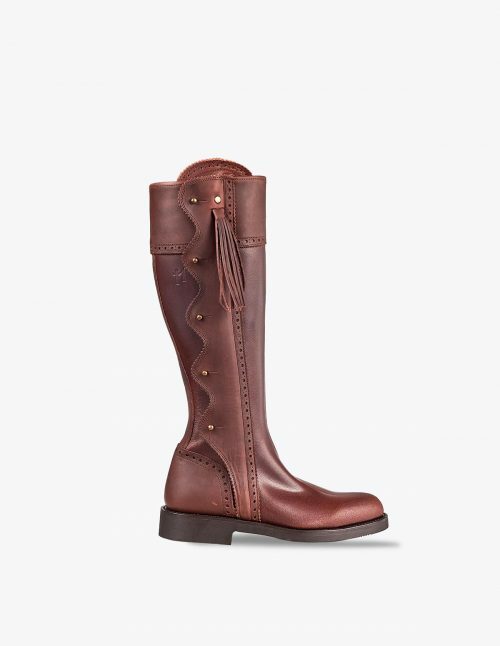 The perfect shoe for both daily use and western dressage. 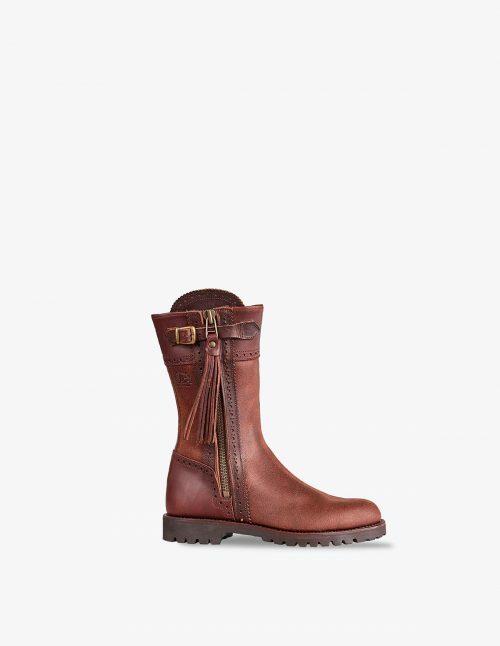 Short-leg boot made of top-quality greased bovine leather, with orange deer leather lining. Finished with all-terrain sole, for a better protection against water, and greater durability. The perfect shoe for horse-riding. 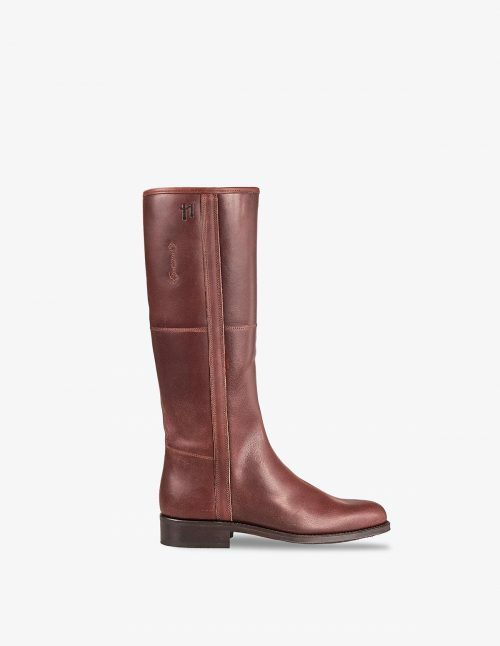 Short-leg boot with plain toe, made of vegetable tanned bronze bovine leather. Finished with a rubber sole and insole for better protection against water; greater durability and comfort. This is the perfect boot for the winter season thanks to our waterproof system.